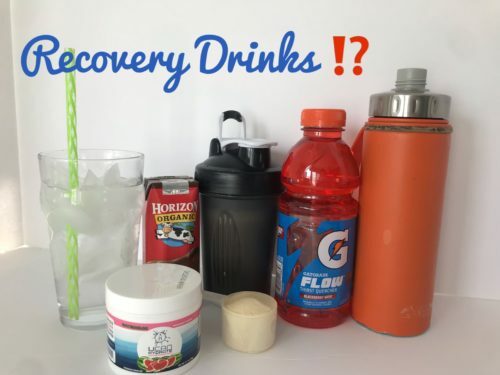 What’s the best recovery drink? The answer is actually pretty complicated. There is no such thing as a one-size-fits-all post workout beverage. Need a last minute dessert that’s easy, gluten free and drenched in chocolate? You’re welcome. What’s the best recovery drink? The answer is actually pretty complicated. There is no such thing as a one-size-fits-all post workout beverage. Hydration is important no matter what but how you exercise, when you exercise, and what you eat can dictate which drink you should be reaching for. There’s no disputing the importance of good old H20. Aqua should remain your primary vehicle for hydration ALL. DAY. LONG. With proper fueling, water may be all you need during and after shorter duration workouts. Pressed for time and don’t want to miss your recovery? Chocolate milk can buy you some time as a snack until that meal is upon you. Chocolate milk is one stop shopping for the fluid, electrolytes and macronutrients (carbs and protein) that your body desperately needs following a workout. Chocolate milk also offers up calcium and vitamin D – important bone building nutrients most folks don’t get enough of. I’ll set the scene – you had an intense, sweaty workout and you are notably dehydrated (i.e you feel super drained and your pee is bright yellow). You were able to have a proper recovery meal but want to get some extra electrolytes to help replenish sweat losses and fortify that post workout muscle recovery. Add some electrolyte powder to your water bottle and get to sipping during those critical post workout hours. These types of products are almost always sweetened with artificial sweeteners (and that includes things like monk fruit and stevia). Since everyone tolerates these ingredients differently, be on the look out for any tummy issues and choose a product you digest comfortably. Resort to supplemental protein when your workout ends at a nontraditional meal time. While food is always preferred, shakes can offer up a good option for workouts that end between meals or late in the evening. There is such a thing as too much when it comes to the doses of many popular powders, 30 to 40 grams of protein is all you need (because it’s all you can use!). LOOK for a good quality protein powder – NSF certified is preferred! And don’t skimp on the carbs, your muscles can’t use the protein without them. Blend/shake with a carb-rich liquid or eat carbs along with your shake. This is not a sponsored post but there’s a reason I am on the Gatorade Sports Science Institute Speakers’ Bureau – I believe in it! Sports drinks offer the ideal combo of optimally absorbable carbs (they aren’t all so easy to absorb), electrolytes and fluid! Because of these offerings, sports drinks may come in handy before, during or after a workout. Reach for a sports drink for longer duration activities (it is my go-to for ½ marathon training) and/or when the conditions are hot and humid and sweat losses are fierce. When using sports drink as part of your recovery routine, be sure to get some protein in along with it! There you have it. Take advantage of ALL of these options to truly give your body what it needs after workout. Proper recovery helps to ensure you can get the most out of the NEXT time you train. Need a last minute dessert that’s easy, gluten free and drenched in chocolate? You’re welcome. You can find prepared caramel sauce at most grocery stores – Trader Joe’s and Stonewall Kitchen are my favorite brands but it’s so worth it to make your own – only takes about 10 minutes. For a quick hack you can also melt caramel candies in the microwave! Melt chocolate in the microwave or over a double boiler. 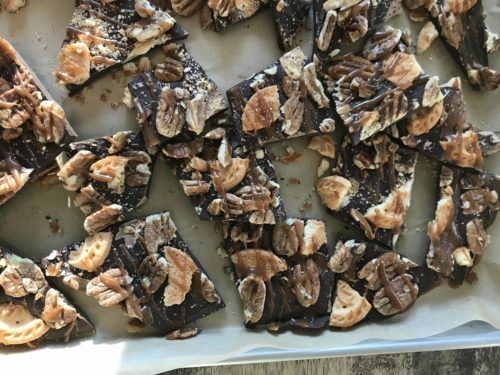 While chocolate is melting, toast pecans in a dry pan over medium-high heat for about 3 minutes, just until fragrant (keep a close eye on them so they don’t burn). Once chocolate is melted, evenly spread on to a parchment lined baking sheet. Sprinkle with toasted pecans and shortbread cookies. Drizzle with caramel sauce and sprinkle with 1 to 2 teaspoon of sea salt. Allow to set until the chocolate is hardened. Pop in the fridge or freezer for faster setting. Once completely hardened, break into pieces. Spices like ginger and cinnamon help with digestion and blood sugar control. 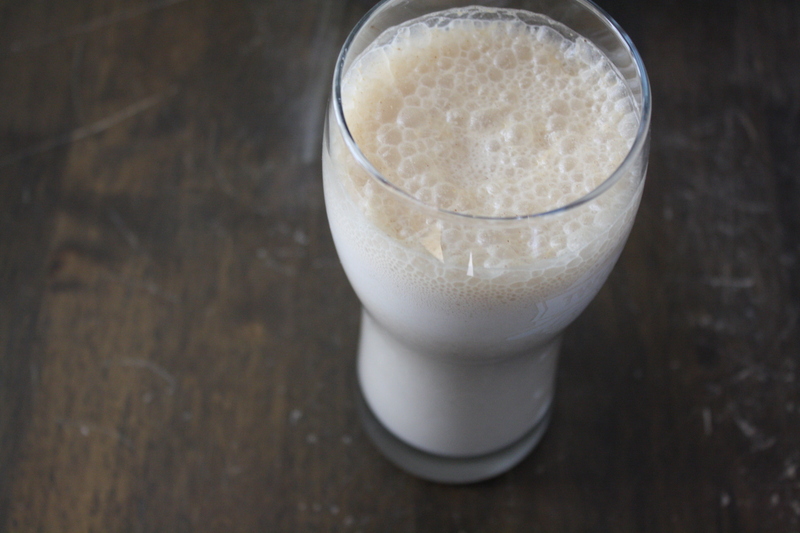 Sip on this shake after a meal or add a scoop of protein powder for recovery snack. Combine ingredients in a blender – blend until smooth. Watching the Olympics gets me even more fired up for my workouts. While I’ll never be an Olympic athlete, it is still important to fuel my body properly before and after exercise. Recovering with the right foods after every session is vital to keeping muscles strong and healthy. It also helps replenish energy stores so I have plenty of energy for the next round of activity. If you want to recover better, reach for these five foods. Grab this budget-friendly fuel any time of day. 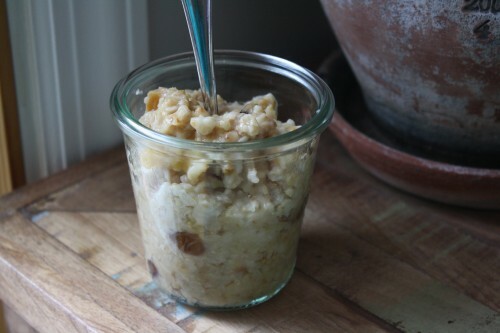 Spread on apples, whole grain crackers or enjoy a couple of spoonfuls whirled into a smoothie. Finish up an early morning workout with a veggie-filled omelet or egg sandwich on whole grain bread. Don’t skip the yolks – they contain antioxidants, vitamins, minerals and just as much protein as egg whites. This sweet and sour juice has been found to help fight inflammation and rejuvenate tired muscles. Use in smoothies, teas, and ice pops. Canned salmon and tuna offer protein plus inflammation fighting omega-3 fats. Keep a few cans on hand for a healthy meal in minutes like these Sriracha Lime Salmon Collard Wraps. For post workout protein Greek yogurt is the way to go, it’s versatile, creamy, lower in lactose and offers a dose of bone-building calcium. Choose a yogurt like Chobani (my nutrition partner), it’s made with non-GMO ingredients and contains double the protein of regular yogurt, making it ideal for recovery. Enjoy topped with granola and fruit or make this all-star shake…. This shake is perfectly balanced with the proper proportions of carbs and protein for recovery. This recipe makes a big serving, cut in half for a snack-size portion. 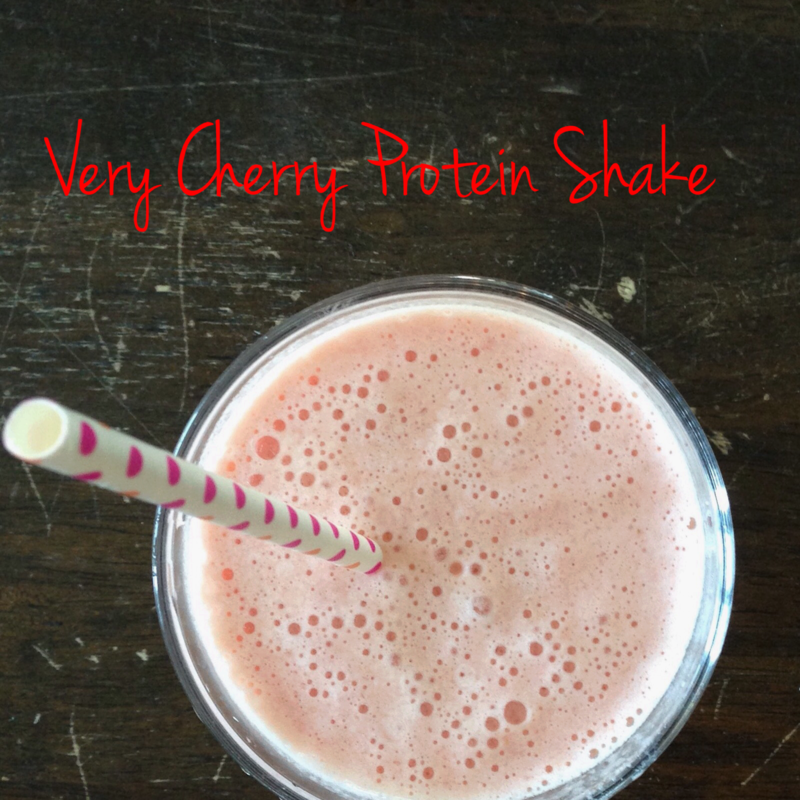 Cherries are loaded with cell-protecting and inflammation-fighting anti-oxidants. Research indicates that tart cherry juice aids with muscle recovery after exercise.